Earlier this year, I participated in a writer’s circle at Sage Community Health Collective, and volunteered to co-facilitate with a partner. Inspired by a fellow writer and good friend, Stephanie, I wanted to take on the topic of being able to “Thank Our Past Self.” It came at a time when I was already burned out with writing. My previous blog with my former partner / friend ended badly. Writing has represented a significant part of my life, and has served as my go-to-outlet for my own personal expression. However, it also became toxic and emotionally triggering to me as I was writing about certain parts of my life that I was starting to acknowledge for the first time and still in the process of recovering from. I needed to regain my confidence in using writing as not just for my own “emotional purging”, but as a way to acknowledge, and celebrate the positivity and growth in my life. For this writer circle, I chose to reflect on a specific turning point in my life at the end of my senior year in high school. High school is about to end for you. You are almost at the finish line. I know you’re eager to race on out of there. You spent the last 13 years of being misunderstood, ignored, and bullied by many of the same classmates in the small community of Westmont. Your peers had 13 years to know you, and yet made you feel as if your existence is invalid. You couldn’t remain anonymous in a class of 93 with a total of 400 students in our high school. Your fights with our parents are going nowhere; dad is demanding that you study to become an engineer or lawyer. He is becoming agitated that you’re defying him, and on the verge of losing his parental control over you. You’re going to turn 18 a few days after graduation, and unsure if you can succeed in college. Yeah, sounds like you got a few things going on, I get it. Randy, I haven’t made a visit to you in quite awhile. 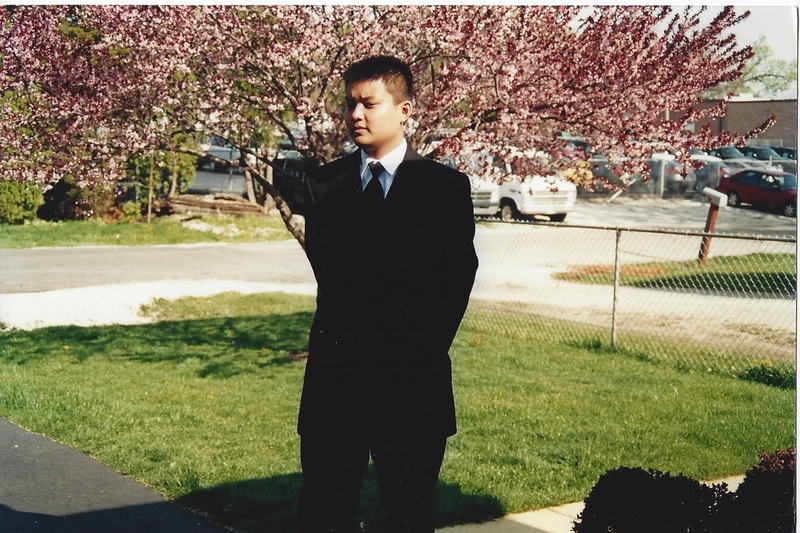 I spent my college years working to undo the image of the “quiet Asian kid” that stuck with me throughout my childhood, and I might have overdone it with a few crazy escapades of my own in the good ole Chicago night scene. Now, I come back to finally acknowledge and thank you for finally breaking out of your shell. It was long overdue, but looking back, you got the ball rolling for me. Towards the end of senior year, you showed our old classmates that they were wrong about you for all those years as they painted you as this silent, awkward Asian kid who would sometimes cry when being threatened. Instead, you showed off those wild dance moves at prom night much to everyone’s surprise, and forgetting about your girlfriend at the time. Oops..don’t worry, she’s not going to be in the picture very long anyways (just a heads up there). You successfully managed to grab the attention of everyone in the entire banquet hall, and turned it into your own private show. For the first time as I recall, you didn’t give a hoot about what your peers thought, and you were on the driver’s seat, in control of how much fun you were having. You were eventually named “Best Dancer” by those same peers because of that night. That moment was your official “liberation.” I owe it to you for that prom night. You gave me the confidence I needed to be in front of my peers, and I can assure you that there will be plenty of those kind of nights in the future. You stood up to dad when he tried to dictate your future. You managed to start pursuing your academic goals and your circle of friends without his approval. You avoided succumbing to the temptations of drugs and ended friendships that were becoming problematic for you. While you may not have had the best of times in those 4 years of high school, you are certainly making those last few months count. In my current self, I look to you for inspiration when you took on the people you were most afraid of then. Also, I want to let you know that you aren’t a bad looking person despite what anyone thinks, and I wish I still have some of that crazy Gemini energy you were running around with. If you can do me a favor when you go to college, I want you to do me a favor, and take it easy on the Wendy’s and Taco Bell.